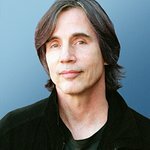 Singer/songwriter Jackson Browne performed Tuesday evening at the Majestic Theatre in Ventura, CA as part of his Solo Acoustic Fall Tour. The concert was a benefit for Malibu charity, Safety Harbor Kids, which Jackson has supported for many years and sits on the board. Delighting the audience with stories and songs, Jackson’s show included “Living Off Wonderland” written about his antics with Little Feat drummer Richie Hayward and others in Laurel Canyon and other favorites including Jackson’s “Take It Easy” made popular by the Eagles version. Jackson even invited a surprise guest to treat the audience. Guitarist Fred Tackett of the rock band Little Feat, came on to play “Willin” written by Lowell George. The song was recently featured on Cameron Crowe’s hit TV show “Roadies” on which Jackson played a part. Luke Wilson the star of “Roadies” was also in attendance. In 2009 Jackson performed a duo with Inara George (Lowell’s daughter and member of Bird and the Bee), “Silver and Gold” for the Safety Harbor Kids Holiday Collection CD (available at www.safetyharborkids.org). Many music industry celeb’s, companies and individuals support the cause. 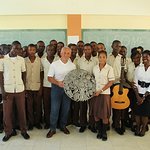 The charities 9th Annual Music Fundraiser was supported by Jackson, McCabes Guitar shop and Stress and Pain deletion guru Marnie Greenberg with proceeds going to benefit education programs for parentless children. Through its Enrichment Programs in academic tutoring, college planning, career development, internships and music and the arts, Safety Harbor Kids seeks to break the vicious cycle of homelessness, poverty and prison that have ensnares thousands of children each year. Safety Harbor Kids is currently raising funds for 1,000 holiday gifts for parentless children. For more information or to donate a gift, visit www.safetyharborkids.org.